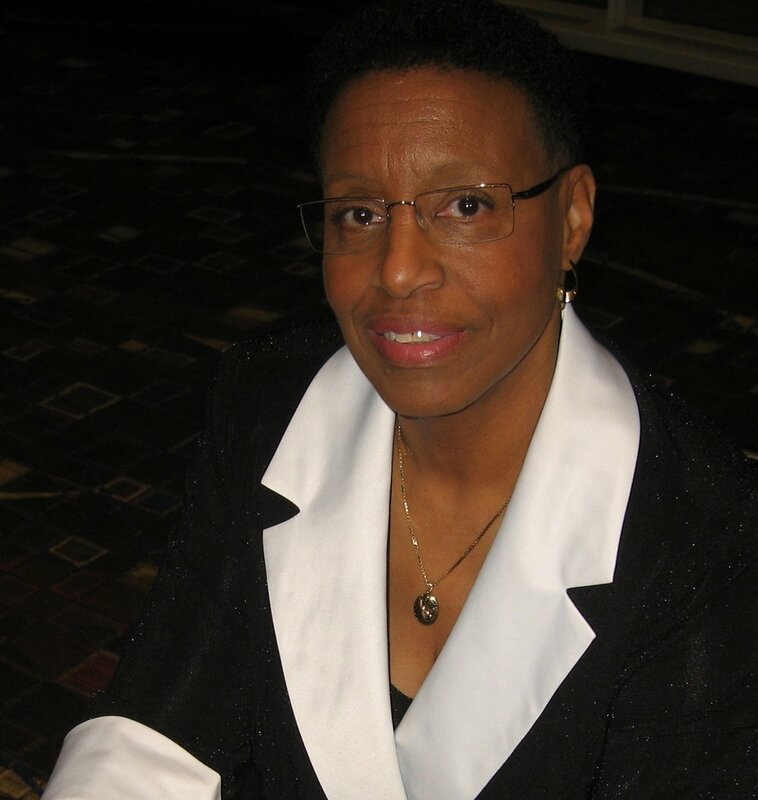 Sandra Burke is a scientific professional with more than 40 years experience and demonstrated success in executing cardiovascular research programs. She has an excellent reputation, and is well-known as an effective problem solver with strong organizational skills. She has led large groups of scientists, at both the associate scientist and Ph.D. levels, and has been successful in guiding her teams to produce valuable results in all the companies where she's been employed. Sandra ended her stellar career in cardiovascular research in 2008, and is now happily retired and as busy as ever! Stay tuned for additions to this site so that you'll know more about Sandra's current activities! Sandra E. Burke, a cardiovascular physiologist with more than 40 years research experience in the pharmaceutical industry, has retired as director of Cardiovascular Biology Research at Abbott Laboratories. Dr. Burke received an A.B. degree in biology from Boston University in Massachusetts and continued her education at Fairleigh Dickinson University in New Jersey, where she received a Masters Degree in physiology. In 1983, she was awarded a Ph.D. degree in physiology from Thomas Jefferson University in Philadelphia, PA. Her post-doctoral training was completed at the Robert Woods Johnson Cardiovascular Research Institute in New Jersey, where she specialized in research on myocardial ischemia and infarction. In her most recent role at Abbott, Dr. Burke conducted pre-clinical research studies in the company’s Vascular division. Her expertise in cardiovascular disease ranges from the vascular biology of restenosis, a serious medical condition associated with coronary artery blockage, to the treatment of congestive heart failure. She has also conducted extensive research on thrombolytic agents used for the dissolution of blood clots in the coronary vasculature. Her scientific expertise was acknowledged in 1996, when she received an Abbott Chairman’s Award for her contributions to a research program designed to provide therapies for the prevention of restenosis. She received further recognition in 1997 when she was inducted into the prestigious Volwiler Society, which honors Abbott’s top scientists. In 2001, she received a President’s Award from Abbott for her role in characterizing a key anti-proliferative drug which became Abbott’s leading candidate for stent drug delivery. Dr. Burke is the author of more than 75 publications and abstracts in scientific journals, and has co-authored 7 book chapters on subjects ranging from the prevention and treatment of in-stent restenosis to the pharmacology associated with thrombolytic therapies. In addition, she and her colleagues have submitted 20 patent applications for the use of therapeutic agents on medical devices, 18 of which have been issued by the U.S. Patent Office. Dr. Burke is also a widely sought-after speaker, and has been invited to present her research to audiences in the U.S. and across Europe, including France, Scotland and England. She has also served as scientific expert during company presentations to medical regulatory agencies in China, Australia, Sweden, Japan, Korea, Taiwan and Hong Kong. 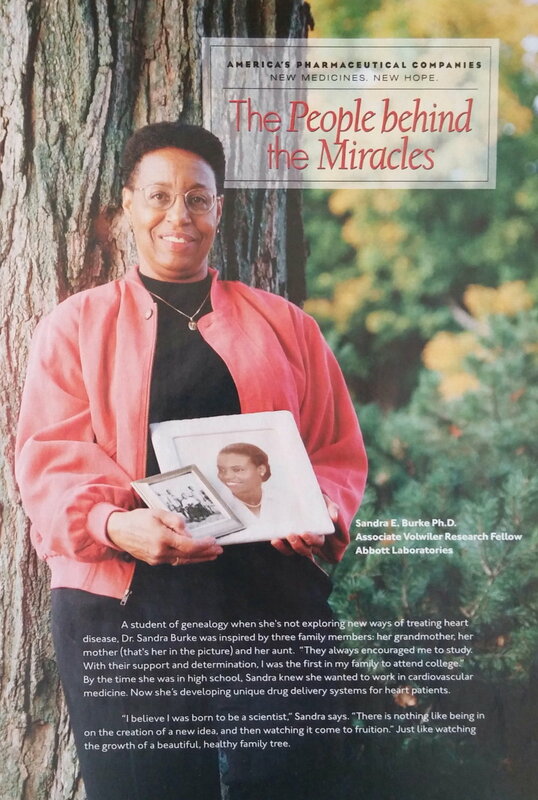 Dr. Burke is also an avid genealogist who has traced her family history back to 1823. She has recently published a 428-page family history book, presenting copies as gifts to more than 130 family members across the country. She and her husband, Charles E. Brown, reside in Monroe, NC. Dr. Burke is a member of the American Heart Association Council for Arteriosclerosis, Thrombosis and Vascular Biology. She is a former member of the American Society for Pharmacology and Experimental Therapeutics, where she served as President of the Great Lakes Illinois Chapter from 1997 – 1999. She has served on the Board of Directors of the 11-state Midwest Affiliate of the American Heart Association, and recently completed a term as President of the Chicago Metro AHA Board of Directors. 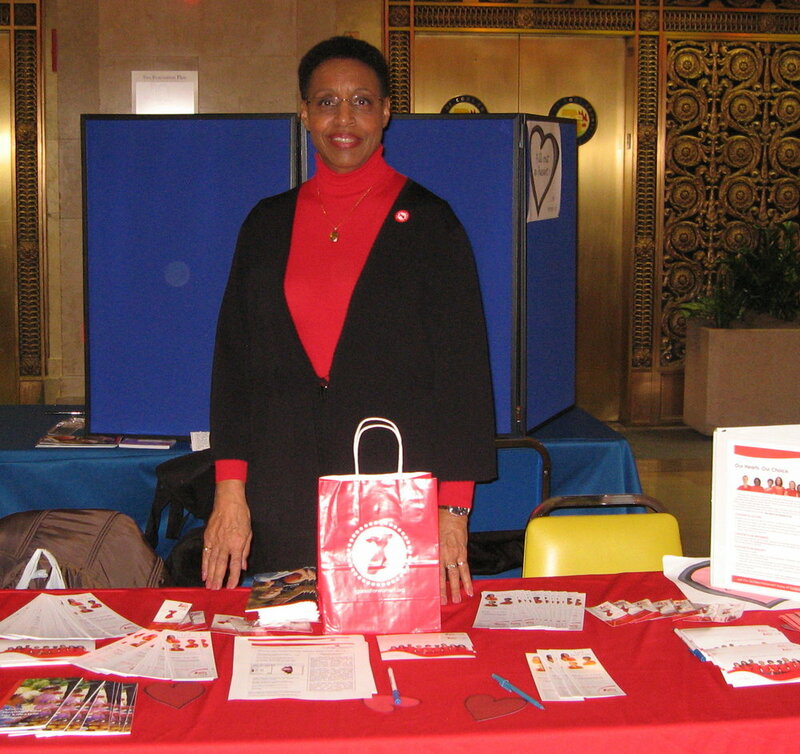 She is currently a member of the Charlotte, NC AHA Board, and is an active spokesperson for the AHA’s Go Red for Women initiative, a program designed to educate women about their cardiovascular risks. 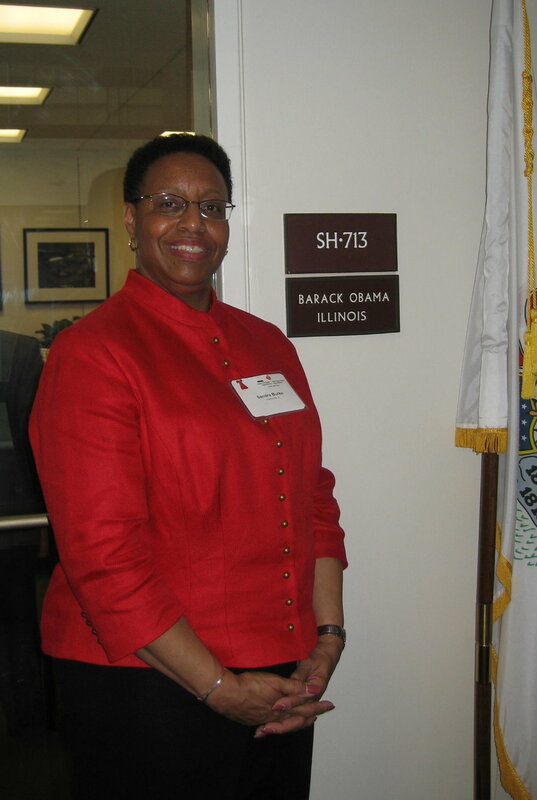 While employed at Abbott, she was a member of Women Leaders in Action and the Black Business Network Executive Council. In both roles, she served as a mentor to a number of employees interested in fostering their scientific careers. 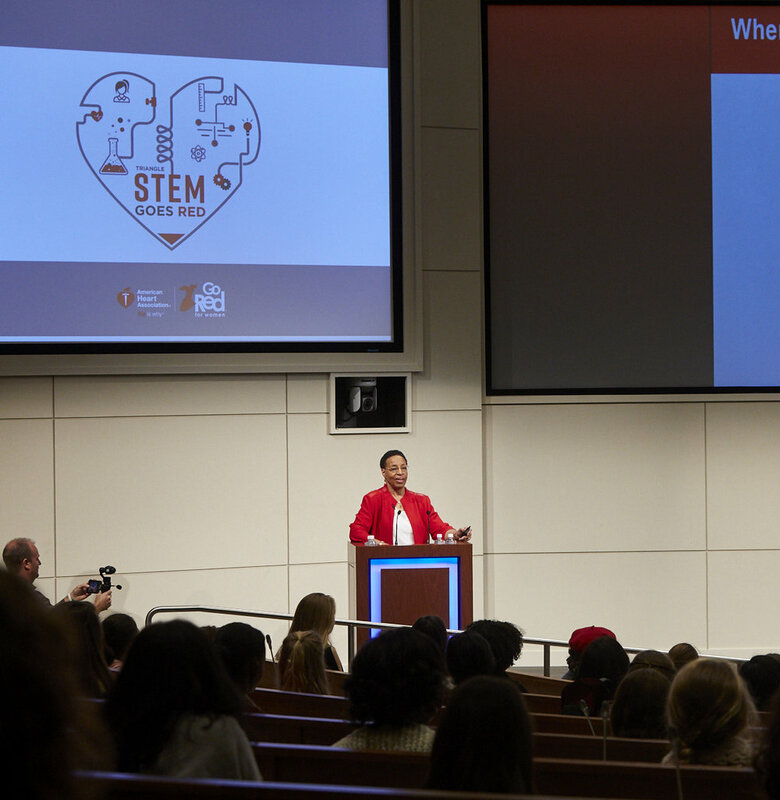 She regularly served as a role model to students in the community, speaking at area schools and student forums on career opportunities in science. In retirement, she continues to serve the community in this capacity. Dr. Burke has also received numerous honors in recent years. 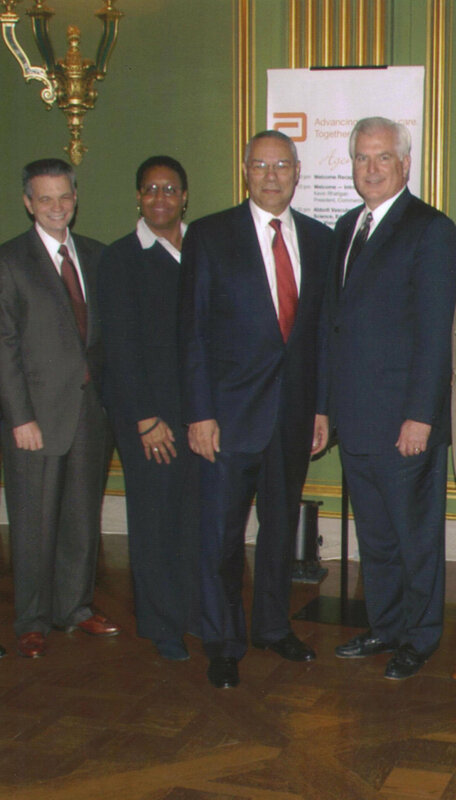 In September 2003, she received the Women of Color Emerald Honor for Career Achievement. She was inducted into the Women in Technology International Hall of Fame during award ceremonies held in California in December of 2005. In June, 2012, she was awarded the prestigious national Louis B. Russell, Jr. Memorial Award by the AHA in Dallas, TX. A multitude of Sandra’s former associates have come forward to recommend her professionally for her scientific prowess, her endless dedication and her warm personality. Sandra considers the completion of her Family History book to be one of her greatest accomplishments. 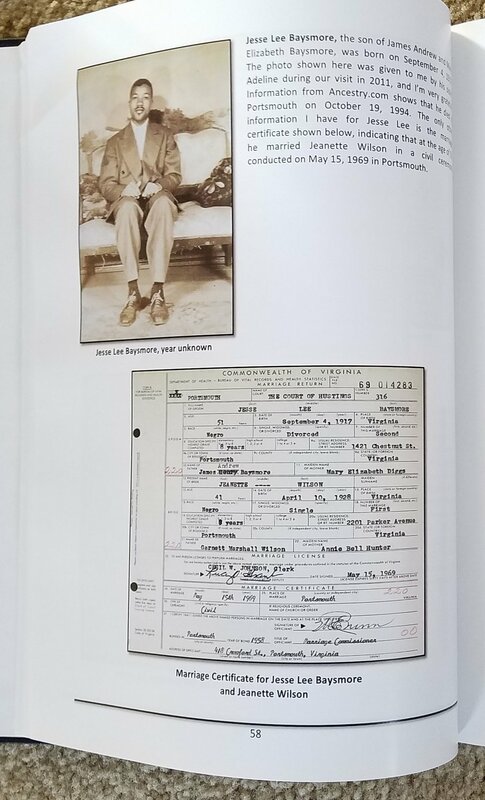 After many years of genealogical research, Sandra compiled this 428-page hard cover book and supplied it as a gift to more than 130 members of her family around the country. She is proud to have provided her family this “labor of love”, which will be a resource for generations to come!